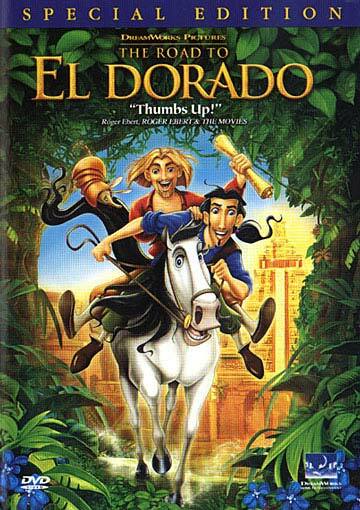 Two con-men (voices of Kenneth Branagh and Kevin Kline) get ahold of a map to the lost City of Gold, El Dorado. After stowing away on one of the ships of the Spanish explorer Cortes, the pair escapes and eventually find the city. There, a priest proclaims them to be gods in a scheme to win control of the city for himself. Meanwhile, they meet a beautiful girl who helps them in their ruse. Songs by Elton John and Tim Rice (The Lion King).